Jiangmen Yilian Silicone And Plastic Products Co., Ltd.
We strive to provide excellent OEM&ODM Service to our valued customers. But the quantity which is below MOQ is also acceptable without custom service for testing the market. Q3. What about sample9 Generally speaking, we don't provide free sample. On the way of development and management, we will keep up with the times and creative mind all along to ensure the good quality and enrich the products. Q: Do you provide samples9 Is it free or extra Charge9 A: Yes, we could offer the sample for free charge but do not pay the cost of freight. Q: Does it has a good seal when upside down9 Heat Resistant9 Too soft when you hold it9 A: Yes, it is absolutely high sealing with lock ring, great option for sport! Ningbo Rise Commodity Manufacture Ltd.
Shenzhen Siweida Rubber & Plastics Co., Ltd.
12.7cm ZR-E009D, DIA. 12.7cm ZR-E009D, DIA. 21.6cm ZR-E009J, DIA. We will keep OEM production not sell to other in agreement term. We committed to doing the very best for our customers. We have many customers all over the world and have big develop space in future. - Choose the food wrap cover size that suitable for your needs. 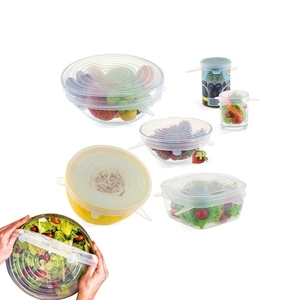 - The silicone food wrap cover will cling to the sides of the container. - Do not use disinfectant sprays that contain bleach to clean your silicone food wrap cover. 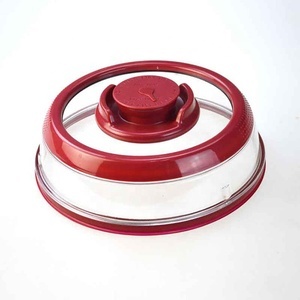 Alibaba.com offers 1,333 stretch plastic food covers products. About 24% of these are lids, bottle caps, closures, 2% are specialty tools, and 1% are wine stoppers. A wide variety of stretch plastic food covers options are available to you, such as silicone, aluminium-plastic, and plastic. You can also choose from jars, cans, and cups. 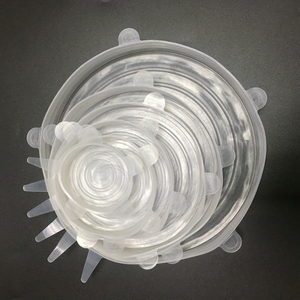 As well as from stretch lid, smart lids, and bottle stopper. And whether stretch plastic food covers is pilfer-proof, non spill, or non-refillable. There are 1,255 stretch plastic food covers suppliers, mainly located in Asia. The top supplying countries are China (Mainland), Vietnam, and Italy, which supply 99%, 1%, and 1% of stretch plastic food covers respectively. Stretch plastic food covers products are most popular in North America, Domestic Market, and Western Europe. You can ensure product safety by selecting from certified suppliers, including 396 with ISO9001, 123 with ISO14001, and 100 with Other certification.